Stop and Shop -or- Stay and Play. It's farm fresh goodness either way! "Their apple butter is the best I've had. 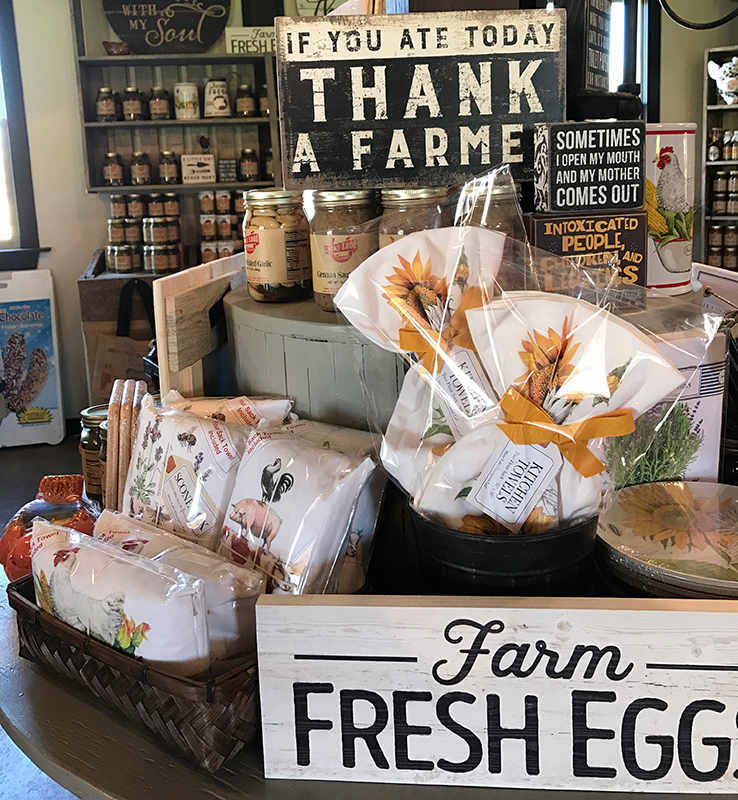 "Janet T.
Whether making the trip out for shopping, or browsing at the end of your Farm Fun Park experience, our Farm Market Country Store has something for everyone. Sample our bountiful assortment of gourmet goodies, made from farm fresh ingredients especially for Lucky Ladd Farms. Excellent for gifts or to stock your pantry. Our bakers have all your favorite gourmet goodies made fresh here each Saturday in the fall. Got a special occasion? Let us bake for you. Give us a call or pre-order online by Thursday each week with your custom order. Order Now NOTE: Our treats may vary each week and we can't guarantee every product all the time, so arrive early to ensure you get your favorite.